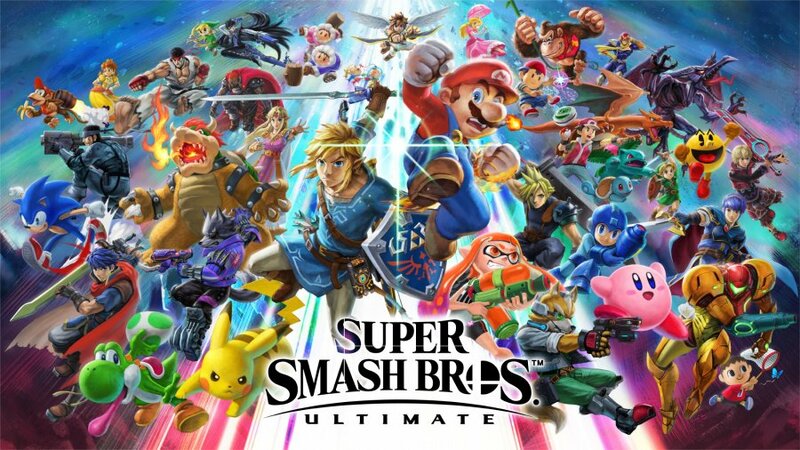 The Ultimate Smash Bros Ultimate Thread - The Bear and Badger - a better class of conversation. Note: Echo fighters have broadly similar move sets to the characters they are linked to - there are some new animations etc, but they're pretty much the same. GC pads already sold out on Ninty store. Is there not a smash thread already? Or is having multiple threads active at the same time a sweet dig at the smash community? I'll never know, because I won't return to this thread ever. So Smash, eh? Never bought one, never liked what I played, but I’m thinking of the kids will like it. I have Pokken for them but I wonder if they’d like a game in a 2D plane and with characters they are more familiar with like Mario and Link etc. If I did buy it, I’d probably have to go digital. Hate swapping cards when kids keep changing their mind about what they wanna play. Mario Kart stays in the slot. I haven't decided which version to get yet. I'm leaning towards physical, as Smash has always been a hit or miss with me, so the option to trade it in is tempting. But then there's also the thing where B and I decided to go mostly digital if possible, in case we move over a big distance again. At least I know I don't need the pro controller version, and the GameCube adapter is sold out. That would have been a tempting option. Oh, and don't forget the lan adapter shown in the trailer, for best connection. Well done Nintendo for doing what Capcom couldn't and making Ken look like Ken. I hated this on Wii U (the only one I've played), it all felt a bit madcap/slapdash to me and I got rid of it after a week or so, but my daughter wants this for Christmas so I'm in. Intrigued by the single player mode. The only true way to set up your switch. My mk is digital but if it had been the cart option I don't think it would have been out of the machine much. Crazy isn't it. There seems to be a nod to the evo moment in one of his specials too. Can't say I loved smash when I had it on the n64 but it does look like a lot of fun. There are double Gold Points if you early-bird digital pre-order which I guess is effectively a £6 rebate, so it might be worth thinking about for those going digital. I'm assuming even digital codes will be full price everywhere? What's the digital price? £59.99? It's €70 for a physical copy so I'll still be saving money buying direct from Nintendo with the rebate. Will pick up physical in CEX at some point if kids want it. I think the plant is free for everyone, it's just that if you have a card you have to manually register the game with My Nintendo from the OS menu. Looks like GAME have it for £50 with a Steelbook. I just don't think Smash is a 'get up and cross the room to change the game then treasure the cart forever' kind of game for me in this digital online world of 2018. I'll have to have a think. Isn't this a digital code? No it is not. Hold on. Moot are you trying to hack me? I saw that but it's an account with Smash on it, not a Smash key? Which seems quite weird.